This fancy tea wood stand is made from solid wood. 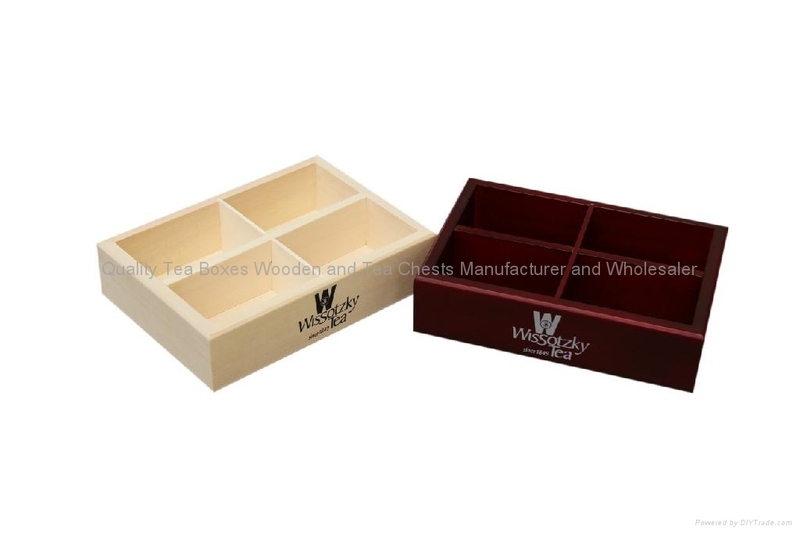 It has four compartments to display the tea bags. We made one natural wood and one rich cherry color painted inside and outside. Customer's logo is printed on the front of the wood stand.